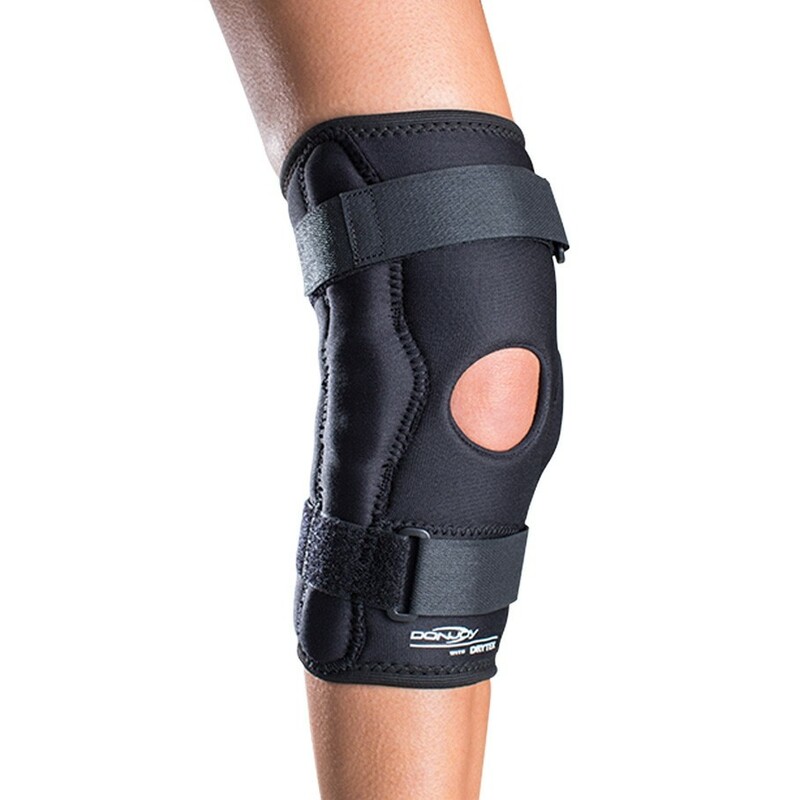 Available in a wraparound or sleeve option, the DonJoy Economy Hinge Knee Brace is designed to help give your knee mild medial-lateral stability. 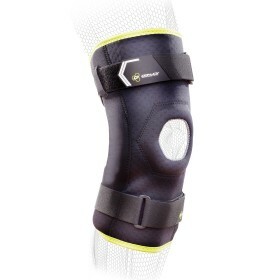 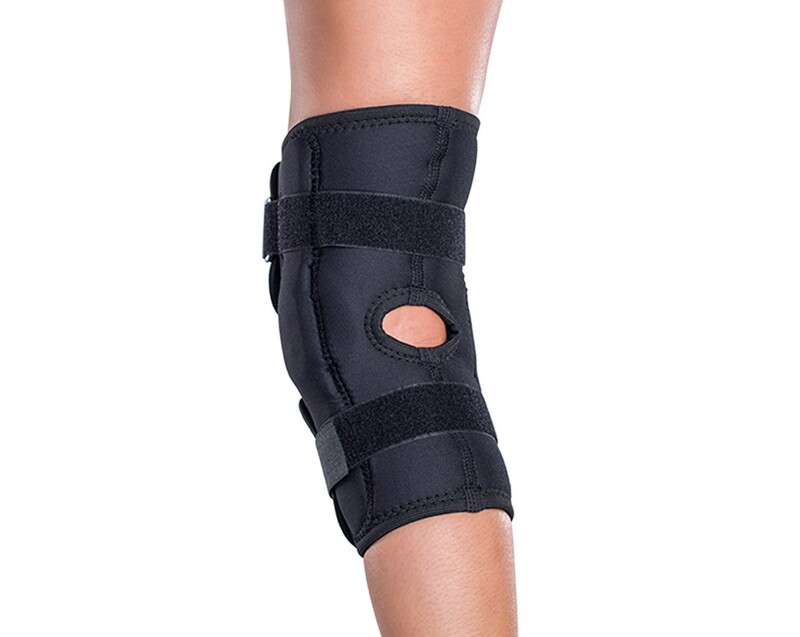 This brace is ideal for individuals with mild MCL, LCL or PCL injuries, arthritis, previous meniscus tear, contusions or patella instability, as well as people who have had surgery on their knee recently, and athletes who participate in contact sports. 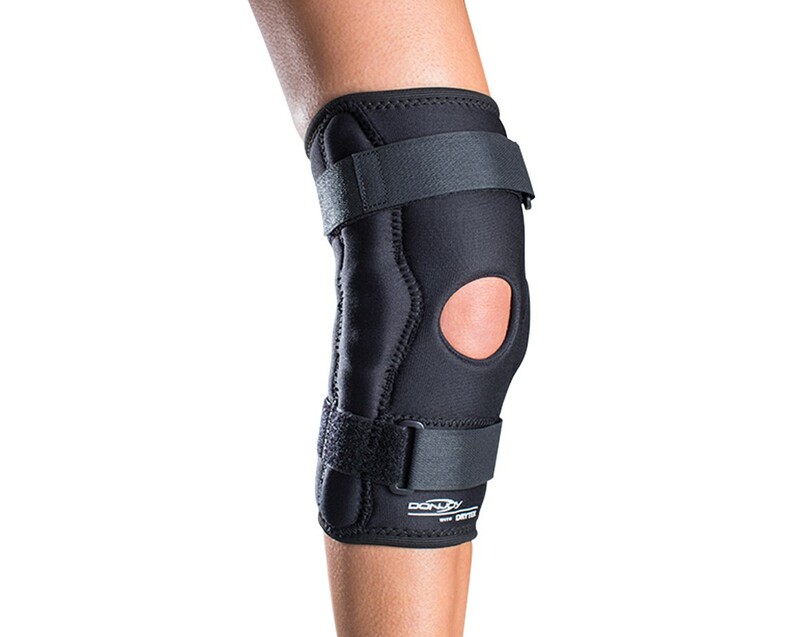 This brace offers 13" padded hinges and a polycentric hinge with removable 10-3/4" aluminum uprights. 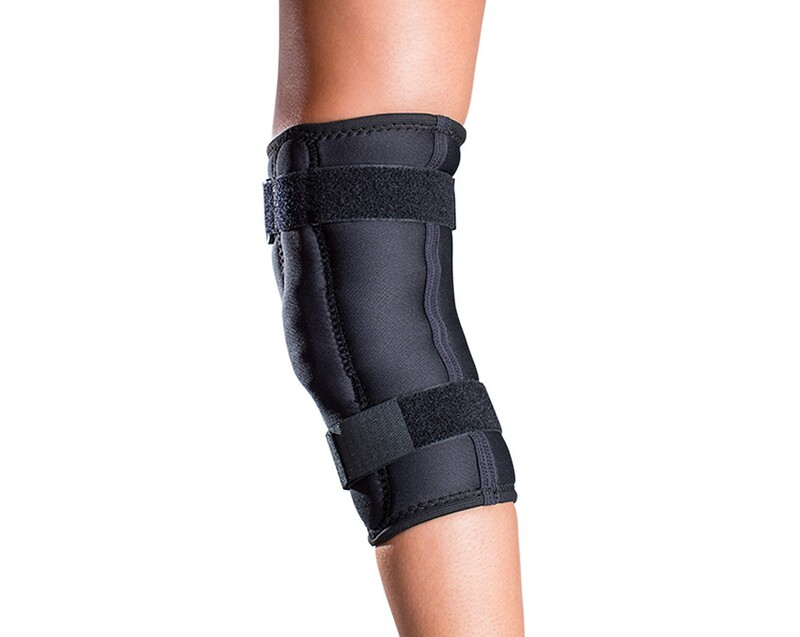 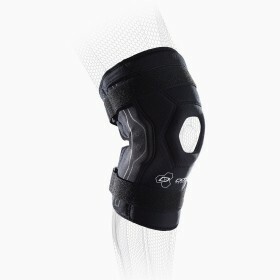 Offering options in fabric, brace style, and with or without a buttress or popliteal cutout behind the knee, the Donjoy Economy Hinge Knee Brace combines customizability with affordability. 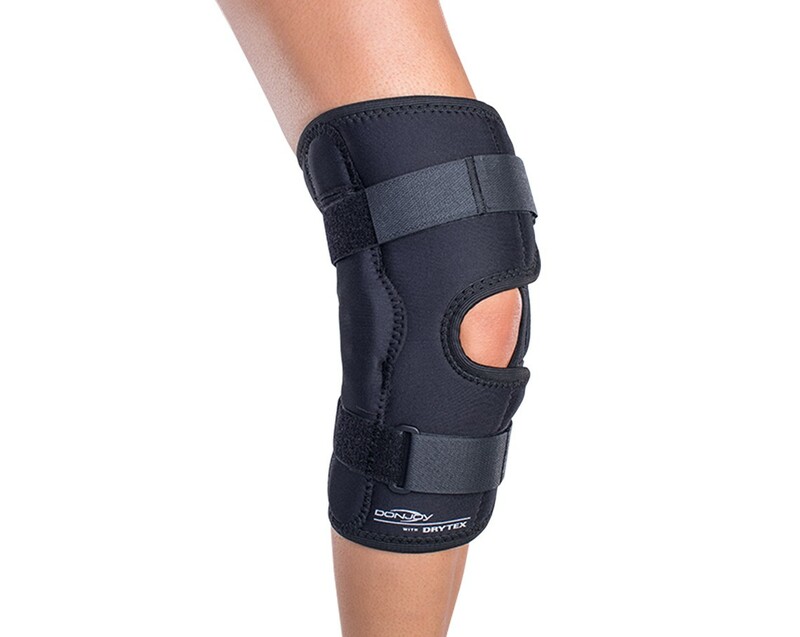 The Drytex wraparound style makes it easy to fit any size/shape leg and offers a neoprene-free option, while the popliteal cutout version reduces bunching up of material behind the knee.